Artist and designer Jake Berman of Fifty Three Studio has created a really clever series of prints that diagram the plots of popular films, television shows and theater productions in the distinct minimalist style of the classic New York City subway map. I’m Jake, and I do map design as my hobby. I’ve always had been a huge map nerd.. I’m always open to commissions, too, for other graphic design work, because I love a good challenge. 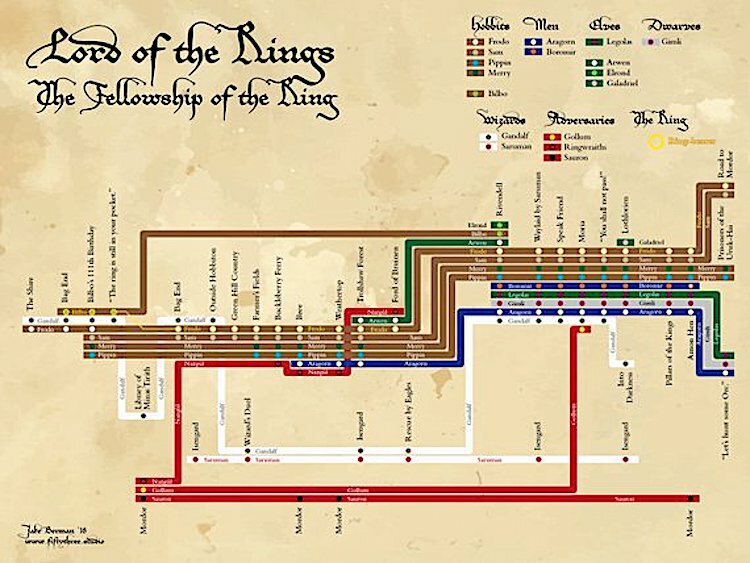 Among the plots diagrammed are Star Wars, Firefly, Serenity and Lord of the Rings. The prints are available for purchase through Fifty Three Studio and Berman’s Etsy Store.